awesome place to stay recommend it 100% very very clean. Thank you for sharing your review for Beachside Villas #1211. We are so happy to know that you had such a pleasant stay in this beautiful home and that you so enjoyed your vacation at Beachside Villas! We hope to welcome you back again soon as our guest here in beautiful Seagrove Beach, FL! Our stay & the condo was the best we'd had in years, and we've been staying on 30A for 30+ years. Perfect location for access to Eastern Lake fishing and a short walk to a perfect beach. 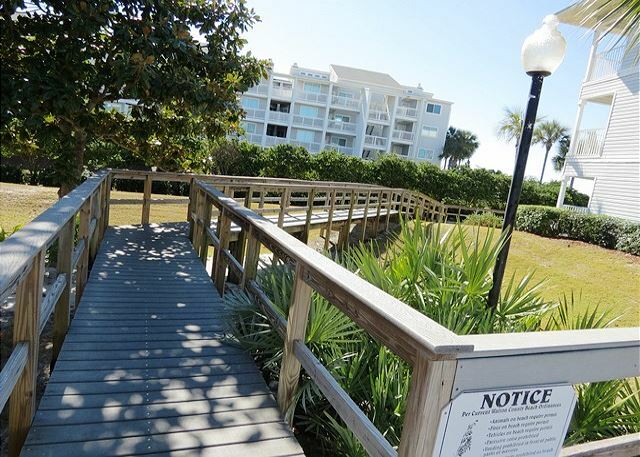 Area density is low w/ limited parking , so beach is "reserved" for local owners/renters. like the hard tile floors for our pet and dealing w/ the inevitable sand. Thank you for sharing your review for Beachside Villas #1211. We are beyond pleased to know that you all had such a wonderful beach vacation in this beautiful home and that your stay with us ranked #1 out of 30 years of staying on 30A! 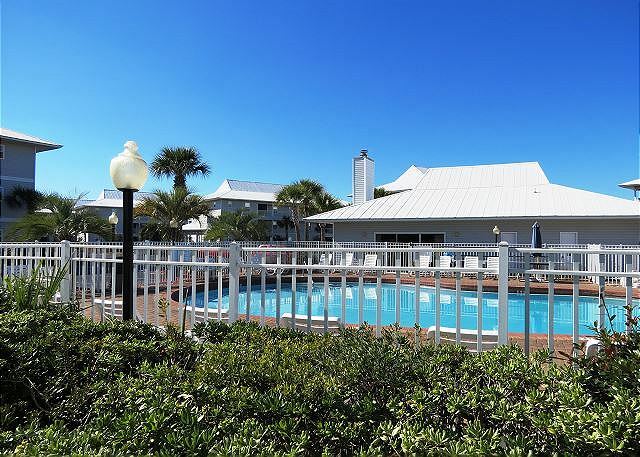 We are also very glad to hear that you so appreciated being by the lake and only a short walk from the beautiful beach, and that you enjoyed having your pet with you in this pet friendly 30A condo. We hope to welcome you all back again soon as our guests for another "best" here at Beachside Villas on 30A! You will never go wrong renting from this company. All of their employees are kind and friendly. If anything is wrong they will make it right. Beachside Villas is a wonderful place to stay. Randy does an amazing job with the grounds! The Homeowners Association is active and caring as well. We have met many of the owners here and they are also outstanding people. We thank you for your review of Beachside Villas #1211, and also we thank you so very much for your most kind words for our company! We are happy to know that you were so pleased with our team! We very much appreciate having you all as our guests and we're delighted to know that you all so enjoy Beachside Villas! 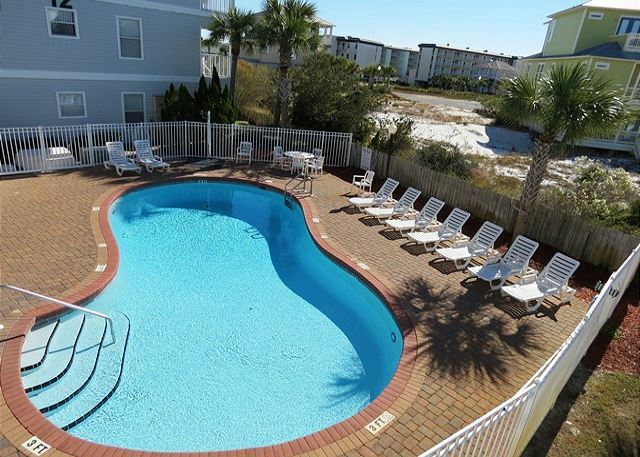 We look forward to having you all back again soon as our guests here on the Emerald Coast! Zero issues with anything. We were even able to check into our condo a little early for a small fee that was worth the price after a 6 hour car ride. Being in building 12 makes for a bit of a walk to the beach but if you bum out like we do and pack a lunch and stay all day its not a bad deal. Still love this area of 30A and will continue to come here for years to come. Thank you for sharing your review for Beachside Villas #1211. We are delighted to hear that you all had such a wonderful beach vacation stay in this beautiful home and that you so enjoyed the beach, the early check-in, and the area along 30A! 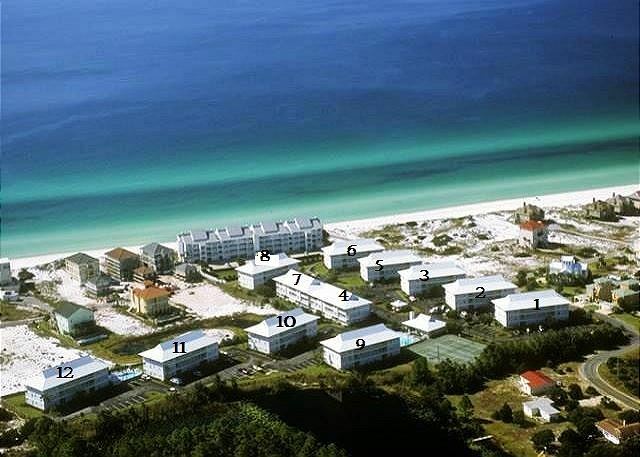 We would love to welcome you all back soon as our guests here in beautiful Seagrove Beach, FL! Excellent Company to work with and excellent on site staff. We thank you for your kind review. We enjoy working with our wonderful guests in assisting them in vacation planning and we are so pleased that we had the chance to work with you on your beach vacation. We are happy to hear that you enjoyed your stay and we would love to welcome you back soon as our guests in beautiful Seagrove Beach, FL! Good location to the beach. Condo was in good condition and provided Wi-Fi as well. The cabinets and appliances were dated, however. The staff was very helpful and friendly. Thank you for sharing your kind review. We are pleased that you had a wonderful stay with us and we would love to welcome you back soon as our guest on the Emerald Coast! Had a great stay, property was very clean. Our coffee maker broke and it was replace right away. Would recommend this property to a friend and would stay there again. Thank you for your review. We are pleased to hear that you all enjoyed your stay with us at Beachside Villas 121 and we would be happy to have you all back soon as our guests in Seagrove Beach, FL! We had a wonderful time! the condos are just steps from the beach which is what I wanted, the place was neat and the staff very kind and helpful. I loved this trip we had a wonderful time! The prices were better than other places, we will definitely like to come back! Thank you for sharing your kind review. We appreciate having you all as our guests at Beachside Villas #1211 and we're pleased to hear that you all had a wonderful time on your beach vacation! 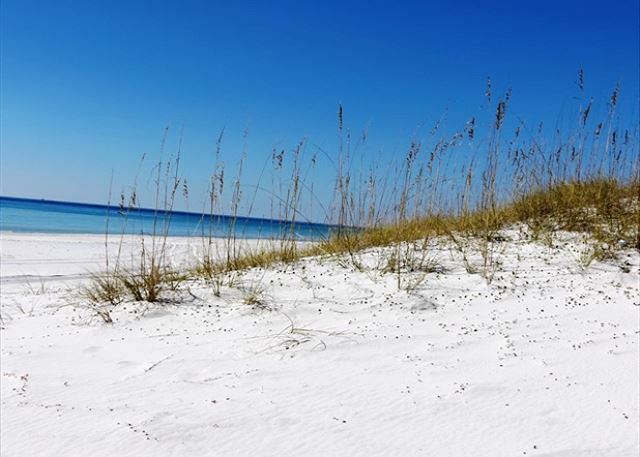 We hope to have you all back soon as our guests in beautiful Seagrove Beach, FL! An Amazing Company To Rent From! Once again Harmony Beach Vacations exceeded our expectations. The condo was spotless-coffee and beach towels were waiting for us. No wine this time, but this was just a ten day stay. Missed the managers from our November stay. 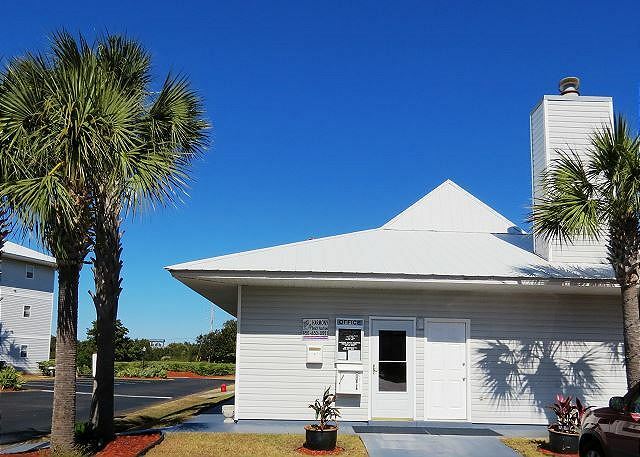 We have been renting in the Seaside/Destin area for over 30 years from various rental companies and are so glad to have found Harmony Beach Vacations, Inc. Walking into a property that was more than the description provided was a first! Beach towels, coffee, wine, a welcome note! An amazing staff that provided excellent service and helpful information. I would not hesitate to rent from this company in any of their locations. You can not go wrong with Harmony Beach Rentals! Thank you for sharing your kind review! We are delighted to hear that you all enjoyed your stay with us and we would be so pleased to have you back as our guests anytime! Wonderful Condo that allowed CATS and DOGS! Yay! This vacation was very relaxing g. I loved the little place. It was just the right size . Plus I got to bring my little Bella . We thought the area was beautiful.the water was so pretty. We will be back. The condo was perfect for our family, just wish we were a little closer to boardwalk to ocean. Also our daughters friends were staying 2 miles closer to town so that was a pain driving her back and forth. But we didn't know. Next time we will check addresses. Thank you for sharing your review. We are so glad you all enjoyed your condo! When booking your next group vacation with us, please let us know if we can offer any details that will make it more suitable for your families being close together. We do have several homes at Beachside Villas, just steps apart that we're sure would be perfect for you all! It was a last minute booking (930pm we left to drive 12 hours the next morning)Everything went very smooth!. The Condo was so cute and clean. Perfect location if you like to run in and out to the pool because it it right outside the kitchen window. The condow is on the bottom floor so its close to the car and you dont have to mess with stairs. The Beach is very nice walk and and umbrellas were ready for you to rent there.